Skip ahead to the top time tracking tool and Toggl alternative. 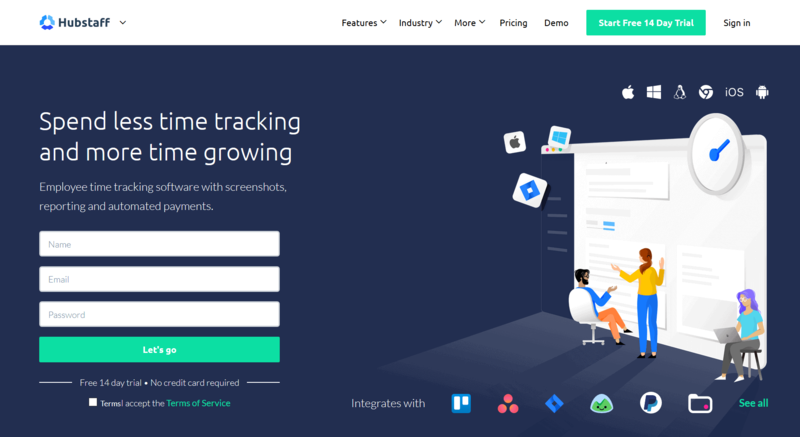 Toggl is a popular time tracking app that many freelancers and remote teams use, but there are many alternatives that offer more features and added benefits. These alternatives may seem identical at first glance, but each comes with its own strengths and drawbacks. For example, Hubstaff allows you to automate invoices but you’ll need a payment integration such as PayPal if you want to automate payroll. Everhour integrates right into your Trello or Asana Dashboard, but doesn’t provide any in-depth tracking options. Meanwhile, FreshBooks is extremely easy to use and comes with some well-designed data visualization tools, but at a higher price point. Each of these six Toggl alternatives have unique characteristics that will make them either ideal or ineffective for your business. Check out what they can do and see which one is the best fit for you. If you’re looking for an all-around productivity solution that can do everything Toggl can plus more, look no further than Hubstaff. Hubstaff is a full-featured, easy-to-use time tracking app that can handle all your productivity needs. Hubstaff’s core time tracking feature is easy to use and precise to the second. Its desktop, web, and mobile apps allow you to track time wherever you are, from any device. 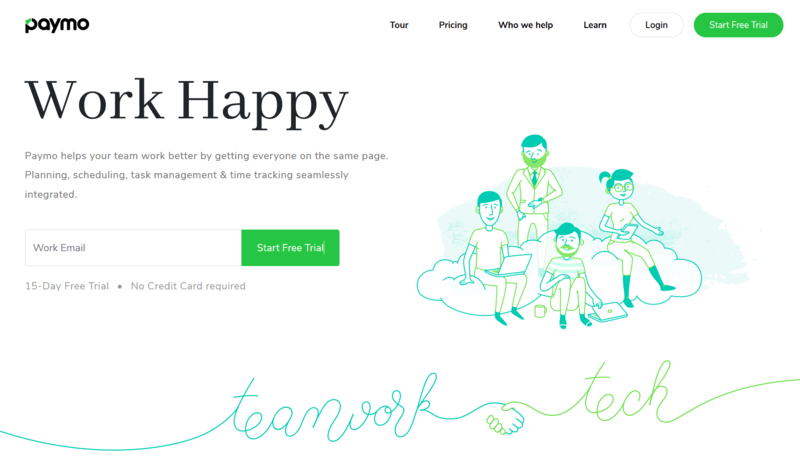 The software has activity monitoring, screenshot capture, and URL and app tracking functions built in, so you can see your team’s work as it progresses. This helps you identify the status of a project without having to constantly look over your team’s shoulders. Mobile teams in industries like construction and landscaping can also benefit from Hubstaff, with its accurate GPS location monitoring features. Hubstaff can also automatically start tracking time and location when team members enter job sites with its geofence feature, further streamlining team management. Paying teams with Hubstaff is seamless and automatic. Hubstaff supports leading payment platforms like PayPal, Transferwise, and Payoneer. To use automatic payroll with Hubstaff, you simply have to set the hourly rates and payment frequency for your team. Hubstaff will handle everything else. Hubstaff integrates with over 30 apps, including leading project management tools like Asana, Trello, and Jira. With Hubstaff, you can continue using software you’re used to and increase your efficiency while using them. Paymo’s time tracking functions are limited compared to the other entries in this list, but it makes up for it by having other features like task management and file sharing. Essentially, Paymo helps you make sure that the project goes smoothly from start to finish. Time tracking with Paymo is easy, and can help you keep track of project budgets. This is ideal for people who often forget to clock in, or juggle multiple tasks at the same time. RescueTime helps you monitor your productivity by tracking the time you spend on activities throughout the day. One of its main features is monitoring the apps you use and the URLs you visit, and then categorizing them from “very productive” to “very distracting”. 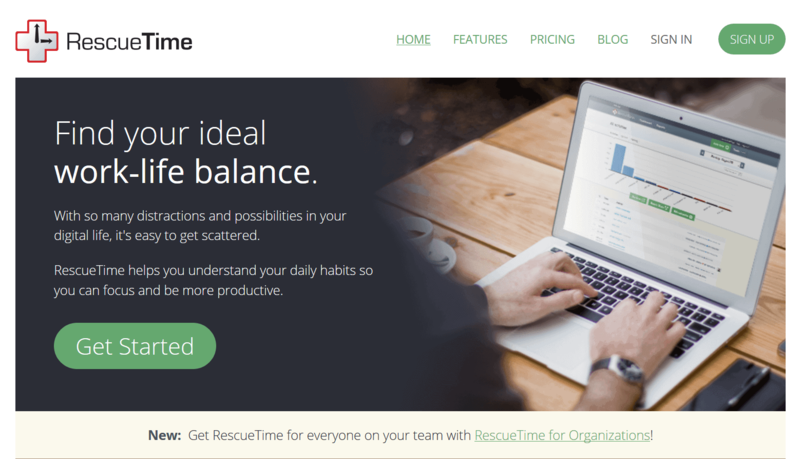 RescueTime does not have payroll and invoicing capabilities, which means you will have to find another software for those purposes. However, RescueTime does have FocusTime, which blocks websites that could distract you from your work. This is a very handy feature when you’re finding it hard to focus or are trying to beat deadlines. DeskTime’s time tracking feature automatically starts when you turn on your computer, and stops when you shut it off. Like many time tracking solutions, DeskTime has a URL and app tracking feature, as well as productivity measurement capabilities. DeskTime shows you who among the team is on-time, late, or absent, making it a great solution for office employee monitoring. However, DeskTime does not work well for particular jobs such as social media management, as it automatically classifies time spent on sites like Twitter as unproductive. DeskTime is evidently geared towards traditional office teams, so if this is your work setup, DeskTime is a good choice. Everhour is a web application that accurately tracks time, generates detailed reports that help you understand how your team makes use of time, and helps you gain better control over your projects. Everhour supports multiple integrations, so you can use your preferred platforms with your projects. The app, however, is only available on the web — there are no desktop or mobile versions. There is also no GPS tracking feature present in Everhour, which makes it less than ideal for teams that aren’t always in front of a computer. Otherwise, Everhour is a well-rounded app for managing team hours. FreshBooks is more recognized as an online invoicing platform, but it comes with a time tracking functionality. To use this feature, you’ll need to invoice via Freshbooks. FreshBooks lets you set project estimates to ensure that excessive time isn’t spent on any tasks. Your actual time spent working will be displayed alongside your projected time. However, your team has to be fairly small to make the most out of FreshBooks; its most basic plan covers only 5 clients. If you added another client, you will have to pay for the next plan. Which Toggl alternative is for you? Now that you have an idea of what the top time tracking software can do, try out the Toggl alternative that’s the best fit for your business. Be sure to consider the important factors such as how many people will need to be added, your work setup (office or remote), and particular functionalities you will need more than others. If you’re still looking unsure of which to choose or are looking for more options, take a look at our ultimate cheat sheet for time tracking software. Is there a great Toggl alternative that we missed? Are there any specific features you’re looking for that you didn’t find in this list? Let us know in the comments below. This post was published February 2017, and updated March 2019. Transparency in business is becoming increasingly popular in the startup world today. A quick look at Baremetrics’ Open Startups page shows that multiple startups are making their numbers all available to the public eye; from monthly recurring revenue (MRR) to churn rate. Transparent startups share everything with the public; salaries, future plans, goals, and even failures….